San Francisco – Graced with Light « "I do wander everywhere"
My favourite capture, showing the rose window and a side arch. 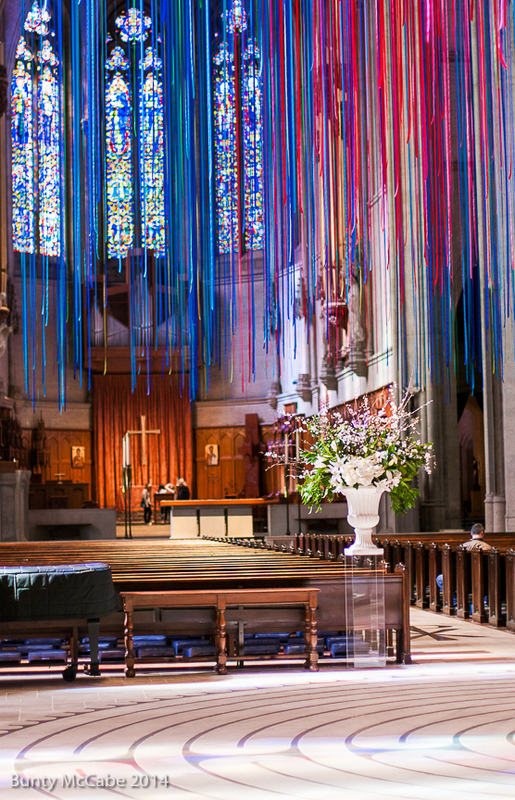 In celebration of 100 years of Music at Grace (Episcopalian) Cathedral in San Francisco, artist Anne Patterson created the Ribbon Project. It was due to come down within a few days of when I saw it. 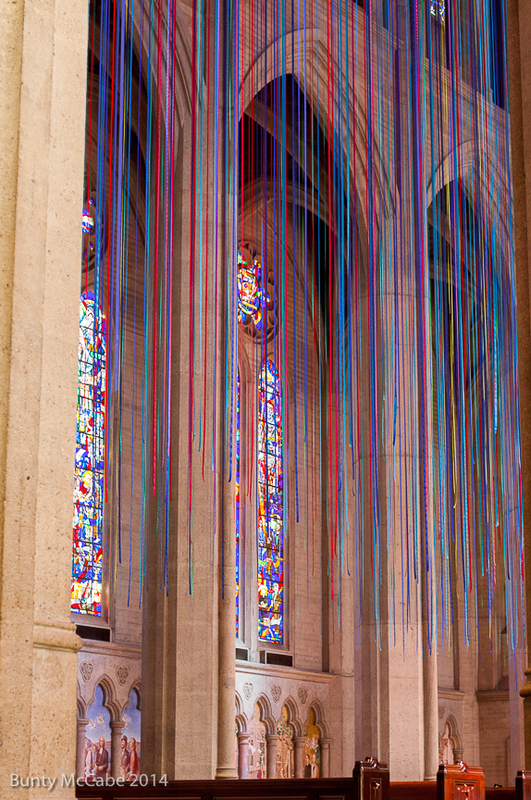 The ribbon colours echo the predominant reds and blues in the stained glass windows. 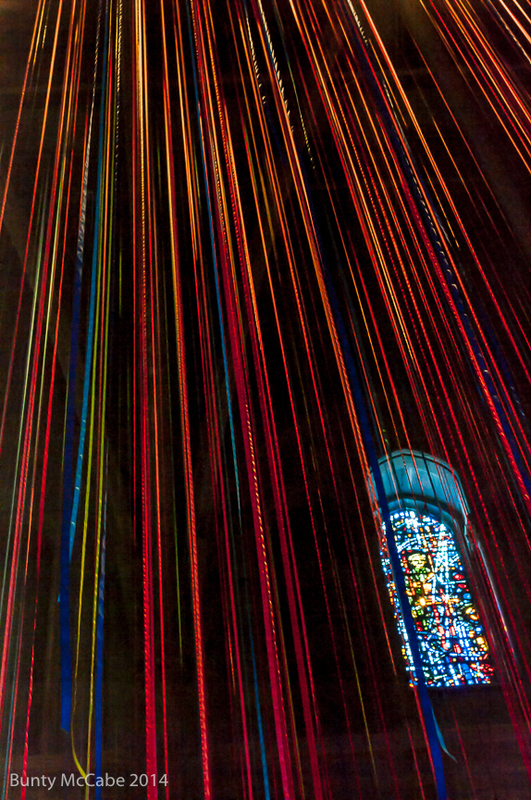 While the intent was to engage the audience through a synthesis of art and music, light and sound, space and self, the installation was inspirational without the sound and music. This photo gives some perspective on how close to the floor the ribbons reached. Even without the ribbons, the sun streaming through stunning stained glass windows onto the labyrinth was beautiful. 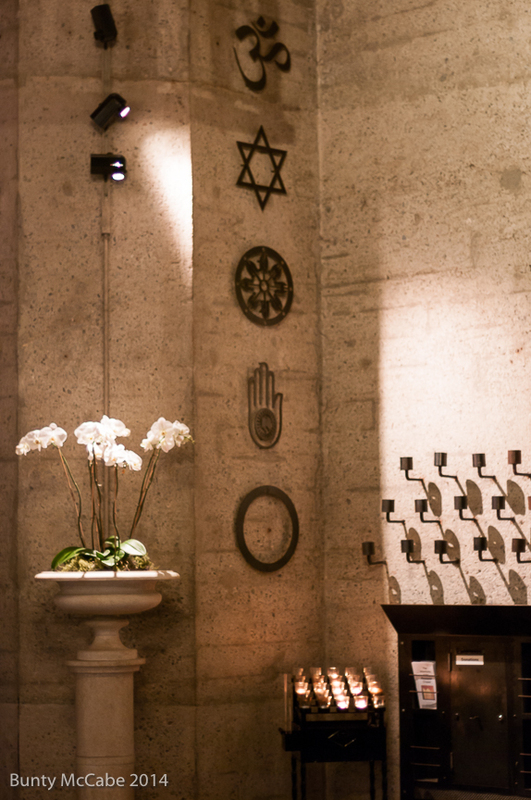 In another part of the cathedral is an Interfaith AIDS Memorial Chapel. 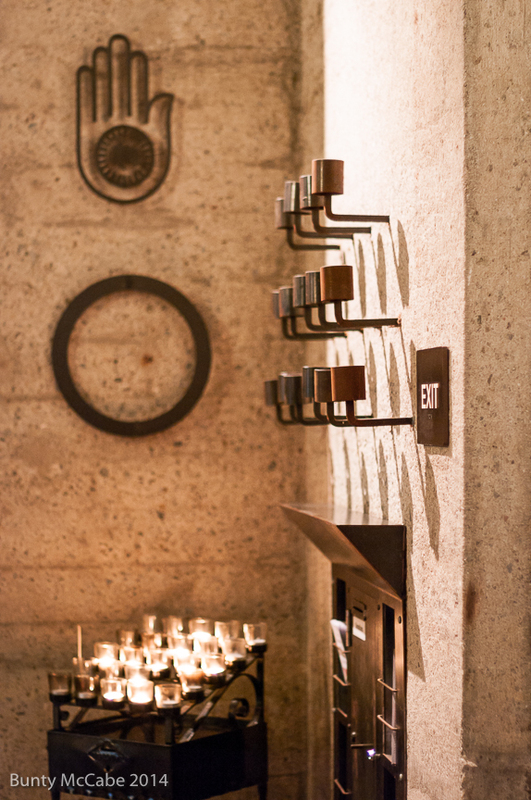 There are 10 religious symbols in two places in the chapel. Here, from top to bottom, Hinduism, Judaism, Buddhism, Jainism, and a circle representing all other traditions. The bottom two symbols from a different angle. 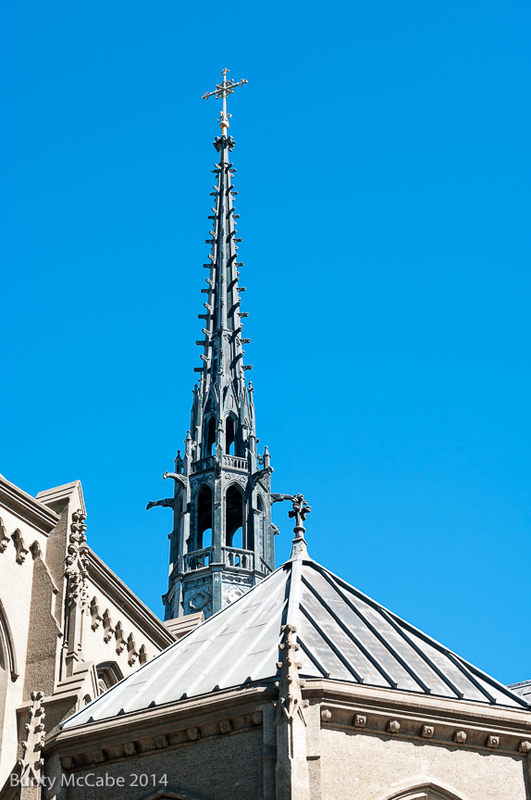 The Cathedral is at the top of one of San Francisco’s famed steep hills, its entrance at the corner of California and Taylor Streets. 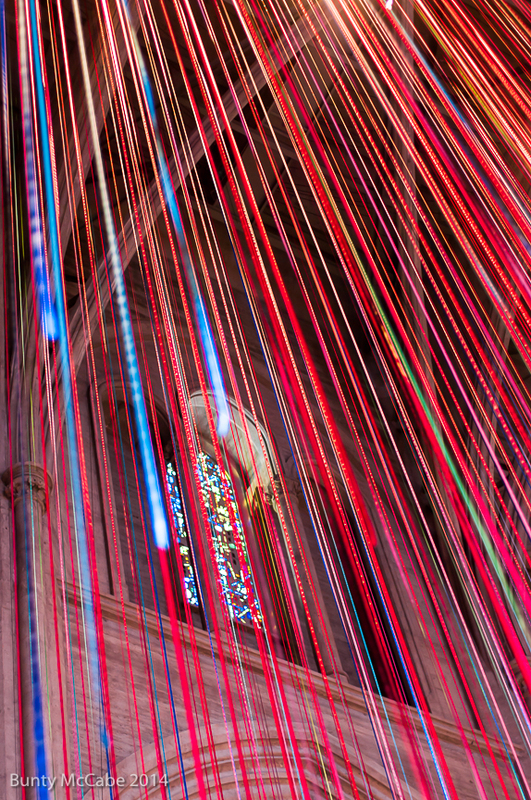 This entry was posted in United States and tagged architecture, art, chapel, Church, colour, flower, San Francisco, stained glass. You take some great pics, Bunty! 🙂 I’ve never seen China up-close. I’ve not been there, either. Neat ribbon display – such streams of color. I like them!